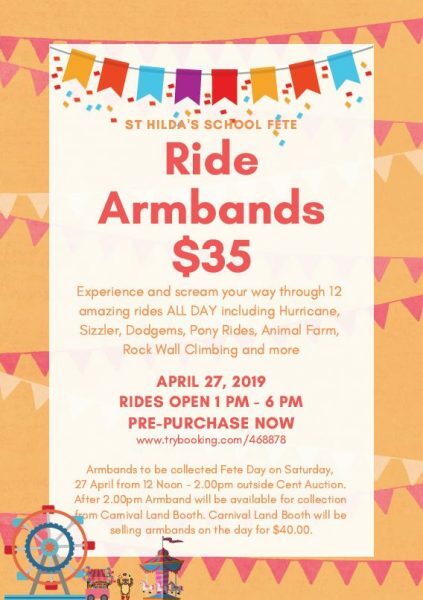 The St Hilda’s School Fete is back Saturday 27 April 12pm-7pm with awesome rides, great stalls and carnival fare, live music and entertainment, and even a fireworks display! All welcome and entry is free! 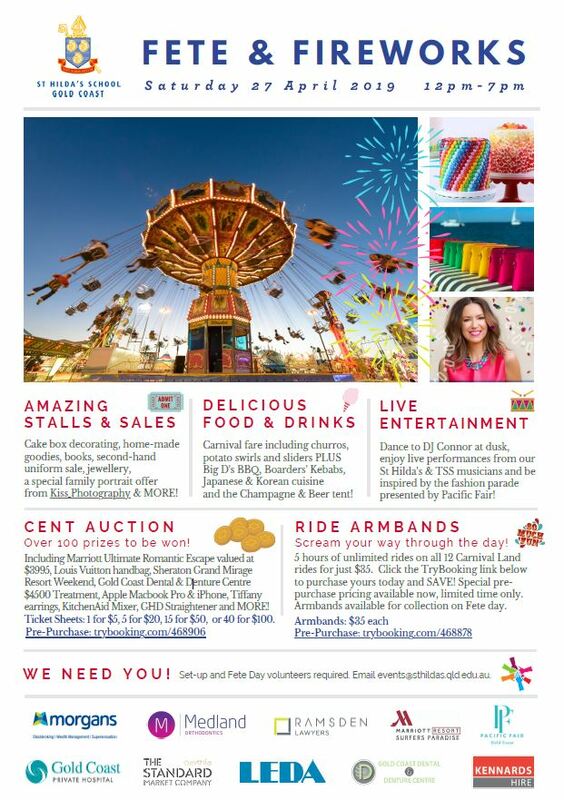 Purchase your Ride Armbands and Cent Auction Tickets today! 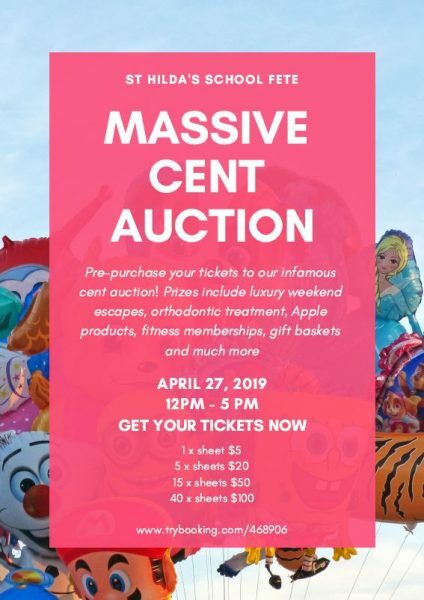 Click below to BUY NOW.